I have just discovered a new (to me) blog, Garage Sales R Us. This blog is all about Garage Sales and all things thrifty. If you like to go to garage sales, have garage sales and bargain shop than this is the sight for you. 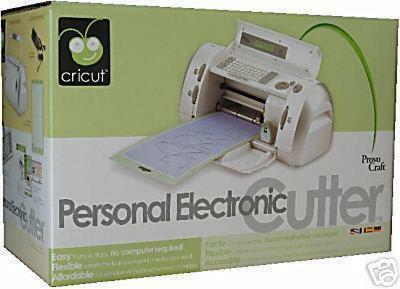 Right now Garage Sales R Us is giving away, 1 Personal Electric Cutter Cricut Machine. This machine can quickly and easily cut alphabets and shapes. To get more information and enter to win visit Garage Sales R Us.